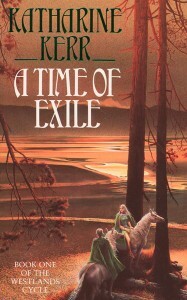 Comprising books 5-8 of the Deverry Cycle, Act 2 follows Rhodry’s self-imposed exile and subsequent quest to find a dragon, and a Horsekin invasion of Deverry. 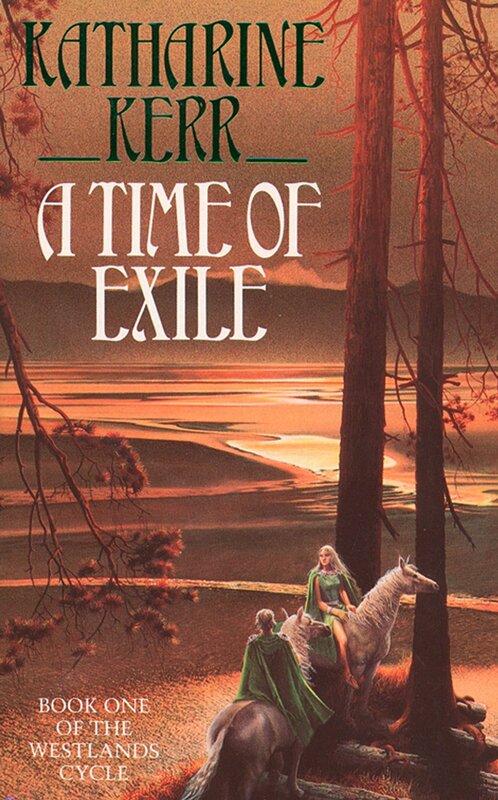 With A Time Of Exile, Katharine Kerr opens new territory in The Deverry Saga, exploring the history of the Elcyion Lacar, the elves who inhabit the country west of Deverry. It is years since the half-elven Lord Rhodry took the throne of Aberwyn. When Rhodry’s lost lover, Jill-now a powerful wizard-comes to Aberyn and tells him it’s time he accepted his elven heritage, Rhodry faces the most difficult choice of his life. 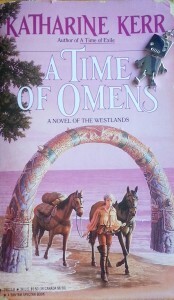 But with Jill’s help and that of a human wizard named Aderyn who has lived for years in the westlands, Rhodry begins to understand how his life is connected not just to his own people, but to the Elcyion Lacar as well. At last, destiny begins to unravel its secrets, revealing Aderyn’s true purpose among the elves-and the god’ deeper design behind Rhodry’s dual heritage. In Deverry the volatile history of humanity continues as a dashing young king journeys to his throne in disguise, fulfilling an ancient prophecy. 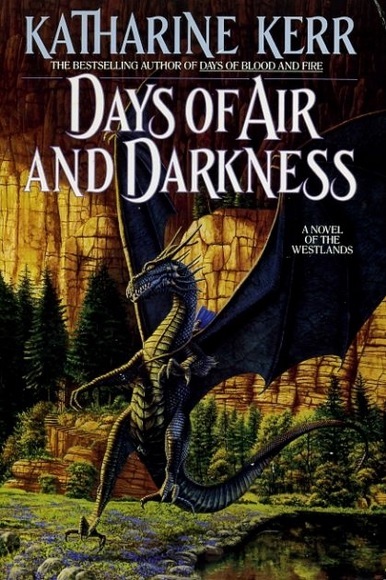 In the Westlands the exiled lord Rhodry travels anonymously as a silver dagger–a mercenary–as he did in his youth, following a destiny that will take him from the grassy plains of the elven peoples to the hills and towns of Deverry, where dark forces are gathering. And from the shadowy land of the Guardians come omens, ill-defined and mysterious, that seem to point the way toward cataclysmic war…. In the peaceful land of the Rhiddaer, Jahdo the ratcatcher’s son stumbles upon a secret meeting between a city council man and a dangerous, mysterious woman. Suddenly the boy is tangled in a web of intrigue and black magic that drags him far from home. In the company of a blind bard, Jahdo must travel to Deverry to unravel the evil that binds him. But there the boy is caught up in dangers far greater than he has ever known. Two powerful sorcerers–one human, the other elven–are battling to save the country from a goddess gone mad. Their strongest ally is the mercenary soldier Rhodry Maelwaedd, a berserker bound to both women by fate and magic . . . and to the dragon upon whom all their live may depend. 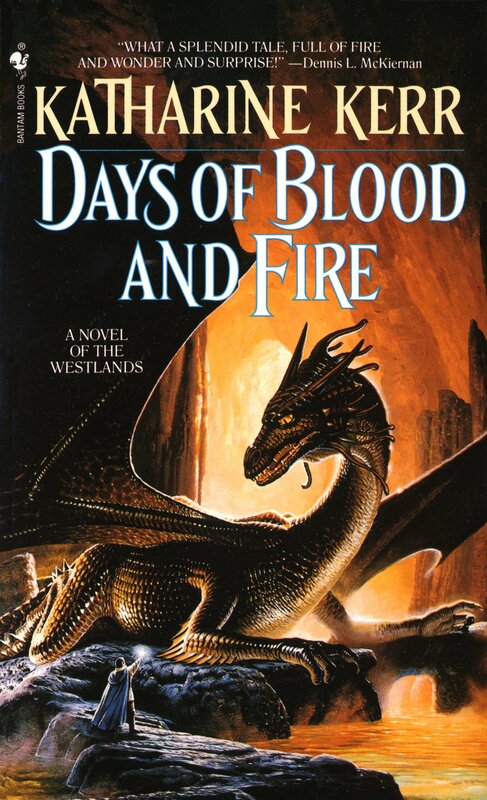 Days Of Blood And Fire begins an exciting new chapter in the chronicles of Deverry and the Westlands, with a story suited to new readers and loyal fans alike. The city of Cengarn is under siege. Armies both astral and physical are massing for and against the goddess Alshandra, who seeks to prevent the birth of one fate-bound child. It falls to the dweomermaster Jill and her allies to protect the child’s human mother, Princess Carra–and Deverry’s already foretold future–by magic and by might. But as the warrior Rhodry wings toward the battle on dragonback, he cannot know that soon he will face his ancient enemy, Alshandra’s high priestess Raena, who will use any means to destroy him. 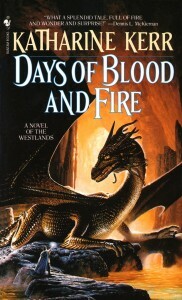 Their confrontation could turn the tide of the siege–and change the fate of Deverry forever.